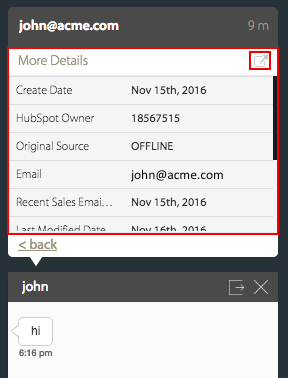 Create contacts on HubSpot after chat ends. Add chat transcript to new and existing contact. 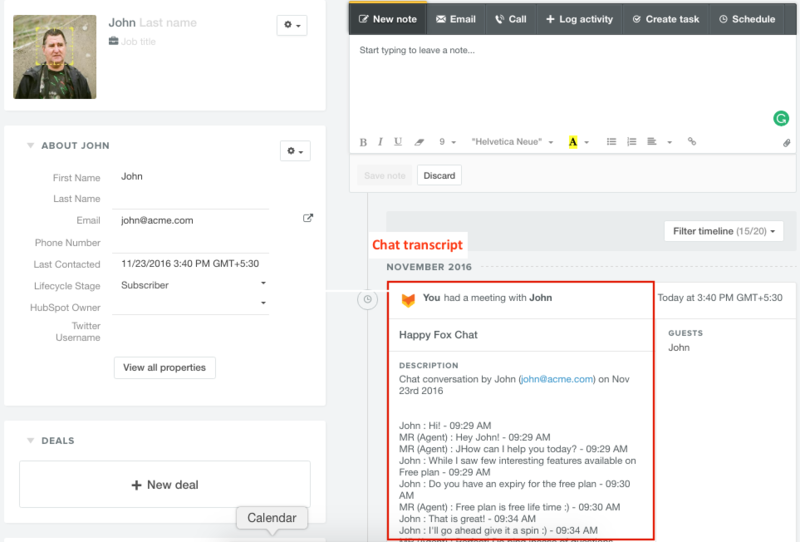 View contact details from HubSpot in the chat window during an ongoing chat. HubSpot integration is available on Fantastic and Enterprise plans. Only Admin of HappyFox Chat account can set up this integration. 2. Go to Apps → Marketing Automation → HubSpot. 3. Click on "INSTALL" button. 4. Click "Connect" button. 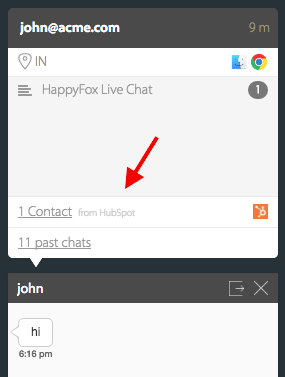 You will be prompted to grant access for HappyFox Chat to integrate with HubSpot. 5. Update your preferences under settings and click 'Update Settings' button. 1. Create contacts on HubSpot after chat ends. 2. View Contact details from HubSpot during an ongoing chat with existing contacts. 3. On clicking the contact, you can view details of the contact like Contact lists, Campaign and Contact details. 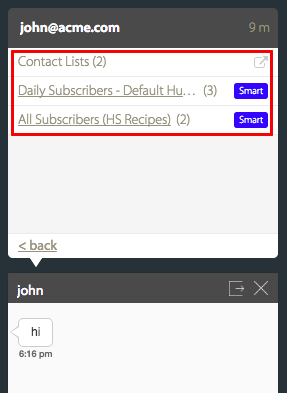 On clicking Contact lists, you can view the lists to which the contact has been added. 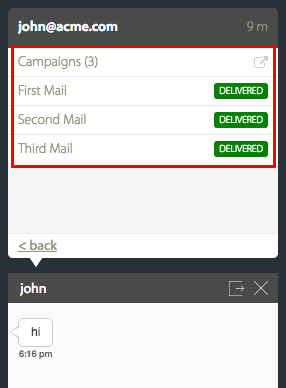 Similarly, on clicking Campaigns, you can view the campaign names that are sent to the contact and the status of the email sent. 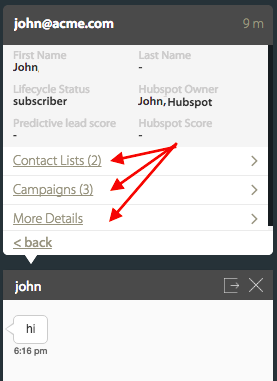 Similarly, you can view more details of the contact from HubSpot. On clicking the arrow button on the top corner, you will be taken to the contact's page on HubSpot. You can view chat transcript being added to the contact.